We found a lot of free and commercial icon editors software out there, but from our testings we have selected only 5 of them. Icon editors are very good if you need to edit an icon, merge multiple icons inside one single icon, create icons for Microsoft Windows Vista operating system, create icons for Mac OSX, and so on. IcoFX is an award winning professional icon and cursor editor. It is an all-in-one solution for icon creation, extraction and editing. It is designed to work with Windows XP, Windows Vista, Windows 7 and Macintosh icons supporting transparency. Create Windows icons up to 256×256 for Windows Vista/7 and Macintosh icons up to 1024×1024 for Macintosh OSX. With IconWorkshop make your own icons for Windows, MacOS and Unix. Create Windows icons up to 256×256 for Windows Vista/7 and Macintosh icons up to 1024×1024 for OSX Lion 10.7. Unix/Linux uses PNG icons. IconWorkshop creates PNG images with alpha channel in a few clicks including from existing Windows and Mac icons. Greenfish Icon Editor Pro (also known as GFIE Pro) is a very powerful open source (GPL) icon, cursor, animation, icon library and image editor. 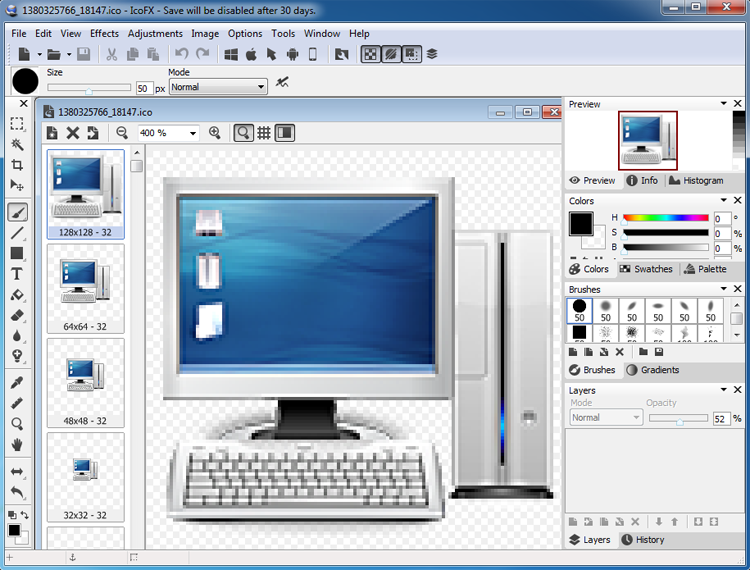 It can be used to create Vista compatible icons up to 256×256, with the help of a variety of drawing tools and filters. Greenfish Icon Editor Pro can open/save ICO, PNG, CUR, BMP, BMP, GIF, JPEG, ANI files and animated cursors. 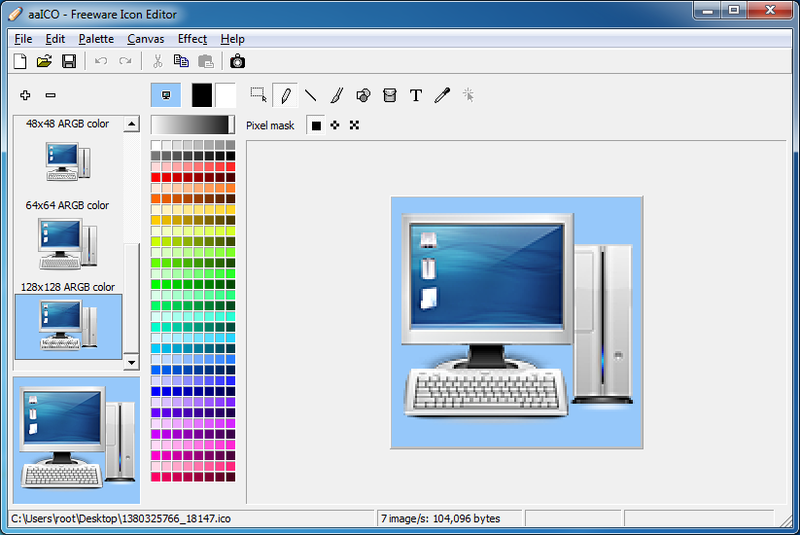 This is a completely freeware icon editor that you will find very useful. The editor supports multiple resolutions, importing, exporting, various effects and much more. You can use aaICO to create basic icons, this tool would be great for the novice designers. 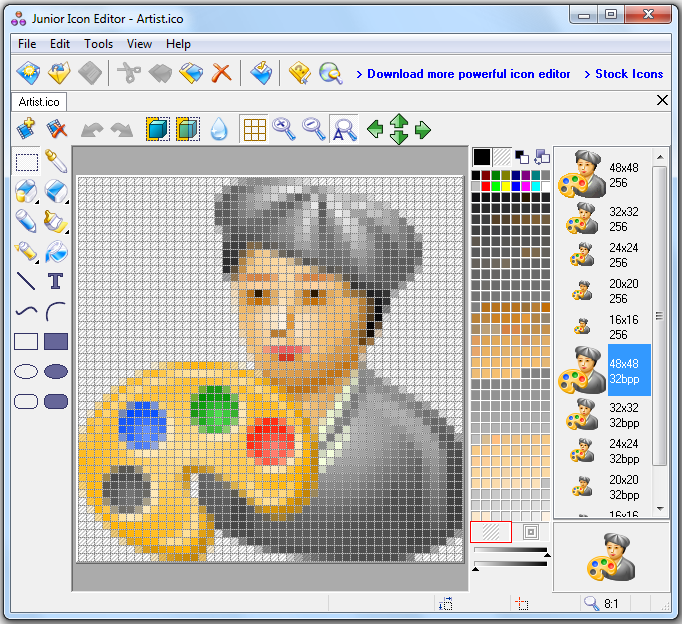 It’s an easy to use icon maker for creating and editing icons for Windows. With this free icon editor you can create and edit icons in either standard or custom sizes, in color depths up to 16 million colors. Make icons for Windows 8/7/Vista/XP/2000 in 32-bit color depth with 8-bit alpha channel, and much more.